How Many Calories in a Cheese Scone? Whey protein is sometimes added to meal-replacement shakes. 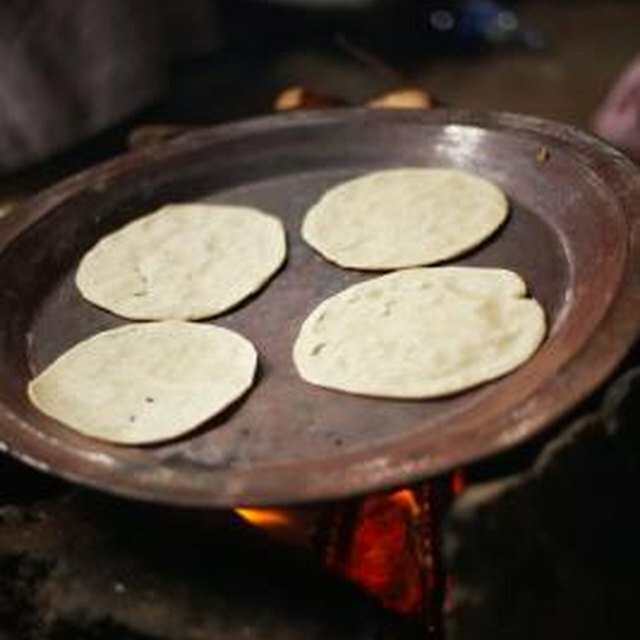 1 Can You Use Vegetable Oil Instead of Shortening in Tortillas? 2 How Many Calories in a Cheese Scone? 3 Can I Make Doughnuts From Frozen Yeast Roll Dough? If you are the mother of a teenage boy, there is a good chance that he wants to build muscle. Using whey protein, a protein-rich food supplement, is one thing he might have tried. You can add whey protein into various foods to help with muscle-building. However, you should always consult a doctor to make sure whey protein is safe for your child. Eating foods, such as meats and legumes, is an alternative and healthy way to get stronger. Eating foods with whey protein at breakfast time will give your child energy throughout the day. Make pancakes by combining whey protein with oats and water into a batter. Cook the batter into large or small pancakes, and serve with maple syrup and fruit. Healthy muffins are another way you can cook with whey powder for breakfast. Simply add whey protein to your regular bran or fruit muffin recipe. You can also add whey protein to yogurt or any breakfast cereal as a quick way to build muscle first thing in the morning. There are many packaged protein bars on the market, but you can easily make your own with the amounts of whey protein you want. Simply mix together corn syrup, egg whites and oil, and add whey powder and oats. After you've baked the concoction, you'll have a delicious pan of protein bars that you can cut into individual sizes. You can change it up by adding different ingredients, such as apple sauce, pumpkin or dried fruit. Snack time is as good a time as any to eat foods made with whey protein. Mix grated cheese with whey protein, flour, water and spices, then bake to make a delicious cheese snack that your kids will love. Make your own healthy whole-wheat crackers by combining whey protein, flour, salt, baking powder and butter. Roll into a thin dough, bake and cut into cracker-sized bites. Serve with light ranch dressing for dipping. Finish off dinner-time with a dessert with whey protein. Add whey powder to any cookie recipe to give it extra protein. Use whole-wheat flour to make delicious and healthier chocolate chip cookies. You can also make regular brownies and add whey protein to the mix. Make delicious lemon bars with sugar, flour, lemon juice, eggs and whey protein. Top your meal off with a healthy baked apple. Core an apple and fill the center with brown sugar, cinnamon, a small amount of butter and some whey protein. Bake in the oven, then serve. What Can I Eat for Breakfast That's High in Protein & Low in Carbs?